Have you got a small business but don’t have a website yet? If you don’t, then Your Business has to be the perfect solution for you! 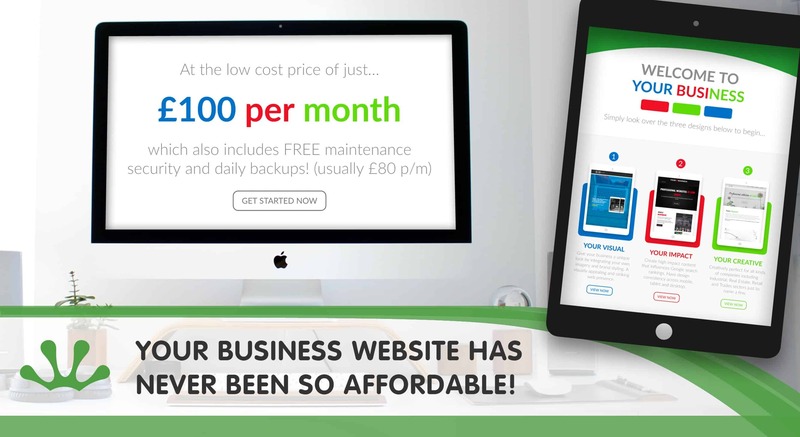 Our aim is to give all our customers the best quality websites at a low monthly fee of £100 which includes hosting, FREE maintenance, security and daily backups! (usually £80pm). Why not take a look at Your Business website for yourself and do not hesitate to get in touch about this truly great opportunity to get yourself a professional maintained website, without a hefty upfront fee.